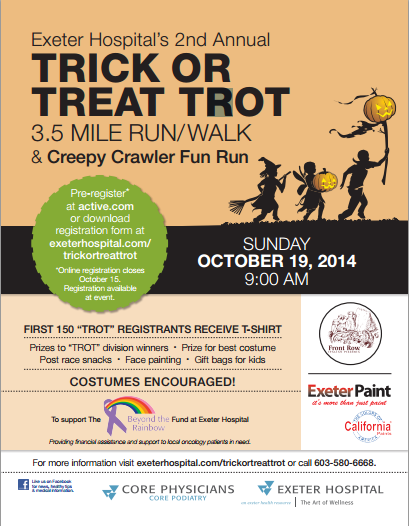 Thanks to EVERYBODY for joining us this past Sunday for Exeter Hospital’s 2nd Annual Trick or Treat trot! There was a wonderful selection of costumes and smiling faces as we raised money + support for Beyond the Rainbow Fund. Below are some photos of the morning run! If you weren’t able to make it, but want to learn more information – don’t hesitate to visit them on their website for more info! The Beyond the Rainbow Fund provides local oncology patients in need with financial assistance and support while undergoing cancer treatment. Since its inception, this fund has provided patients with immediate prescription assistance; subsidized rent, utility and fuel bills; purchased groceries; and assisted with additional needs that may have become unmanageable for individuals or their families during treatment. This fund also provides patients with wellness/fitness programs and integrative therapies, such as massage, that further assists them in improving their quality of life as they focus on healing and recovery. The impact felt by the recipients of this fund is immeasurable. Beautiful ideas to give that big, bare wall in your home some personality! Electric Living Home gives us affordable ideas from hiring art students to paint a mural or collecting maps from your travels to decorate. Wallcoverings + wall decals are another wonderful option to make boring white walls show your personal tastes! What project strikes your fancy the most? Exeter Paint + Exeter Paint West carry Thibaut Wallpaper + Fabrics, Roommates: Peel + Stick decor, and York Wallcoverings. Do you find yourself staring over and over at that big blank boring wall that you still don’t know what to with? Whether you rent or own there are many options to liven up those fearsome walls without breaking the bank. Below are some ideas that might work for you. 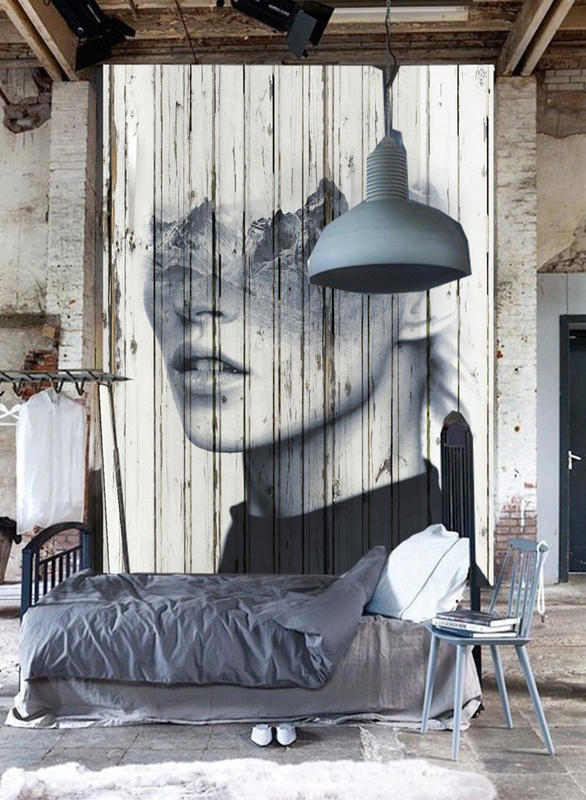 1.If you have a fear of being stuck with a whole room filled with wallpaper that is not easy to remove, maybe just do one feature wall to cut down cost, use wall decals, use repositionable wallpaper or use a large blown up photo instead. 2. Have an artistic friend? How about an art school nearby? Ask your friend or ask an art instructor about having students do a mural or repeat a design element already in your home for much less than hiring a professional. Dip-Dying is over, or is it? Whether it’s over-done or out-of-style, this “dip-dying” painting technique still catches our eye. If it’s something you already have in your house and you’re looking for a fresh new appearance, simply pick up a new color and voila! you have a new piece of furniture without spending more than $15 (or less!) . . .
And dip-dying isn’t just for furniture — let these inspirations get your creative juices flowing! 1. From The Sweet Beast, Emily takes this Ikea SVALBO and gives it her own flare! 2. 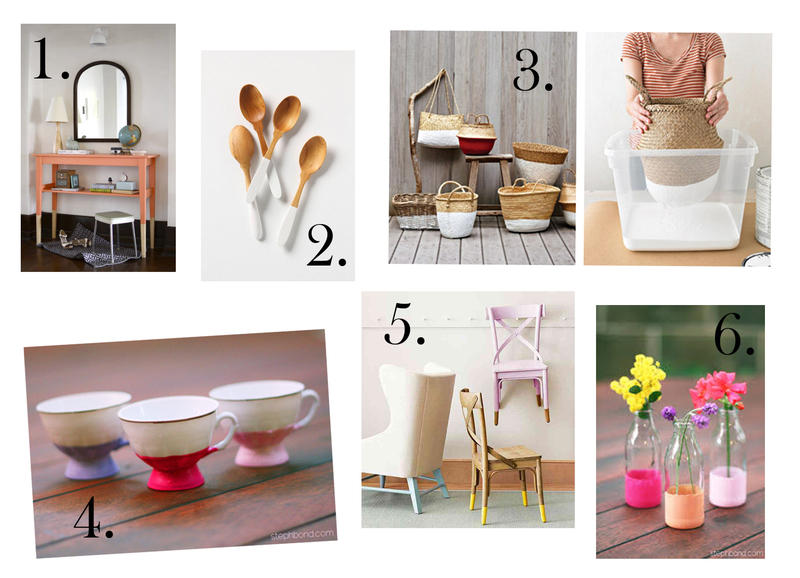 MissMoss displays tons of ideas incuding these dipped, wooden, kitchen spoons. 3. Martha Stewart always takes the trends and puts her own special twist. 4. We have these beautiful teacups found on Bondville to make old teacups new + unique. 5. Centsational Styles brings us the top photo of dipped chairs. 6. Also found on Bondville are these cute little glass jars turned flower holders. The inspiring interior designer, Danika Herrick, posts regularly to her blog and Facebook page displaying beautiful projects that can work as inspiration for us all. 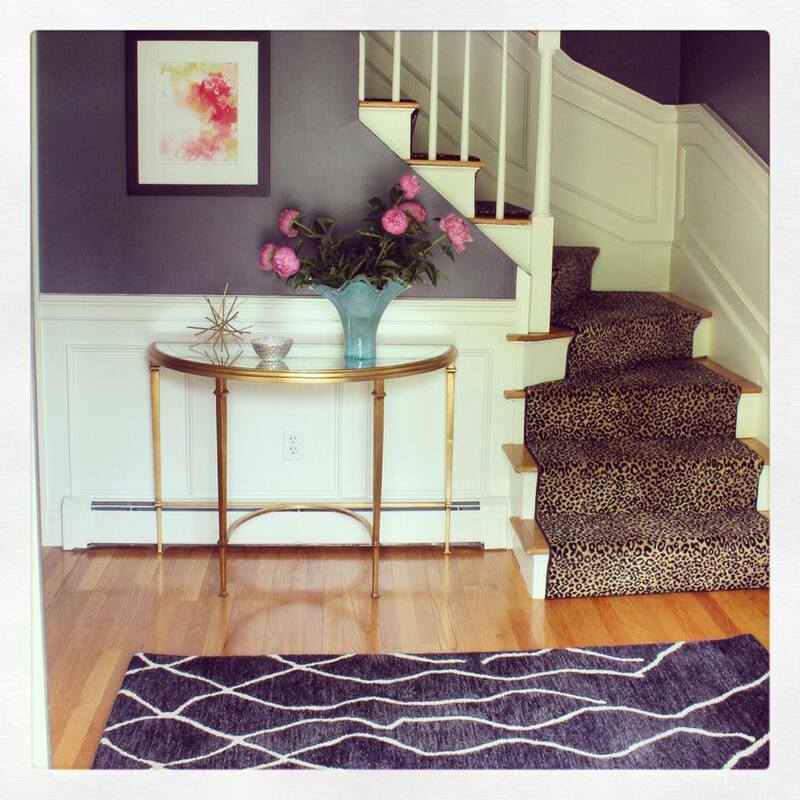 Her latest: an almost complete entry way featuring some DIY projects you can find on her blog along with a stunning stone grey wall color + leopard print accents on the stairs. 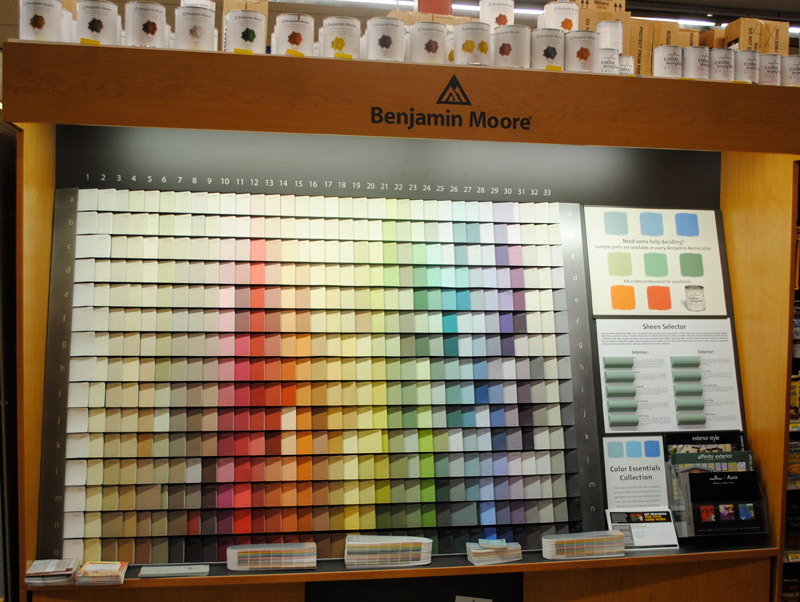 Want a chance at winning a free gallon of Benjamin Moore Interior Paint? Upload your photos to your Facebook page, post a reply at the bottom of this post with a link to your photos and a description of what you did to make your before + after projects a success! On the 3rd of November we’ll announce the winner who then can come into the store for their FREE gallon of Benjamin Moore Paint. *If it’s a project in the works, remember you have THREE WEEKS to submit photos and short descriptions! We look forward to seeing all your hard work + inspirational stories! Join Exeter Paint as we support the Beyond the Rainbow Fund at Exeter Hospital this Sunday, October 19, 2014 @ 9AM! Prizes for the best costume awarded! Prizes for winners of each race! Snacks! Face painting! And gift bags for the kids! For more information go to The Beyond the Rainbow Fund at the Exeter Hospital website. Have those DIY projects all over the internet struck an interest? Repainting furniture to give it some new life? Adding chalk paint to old plant pots to make them look fresh and flashy? Today to give us some more online inspiration is photographer, Lauren Sawyer, from Westbrook, Maine. 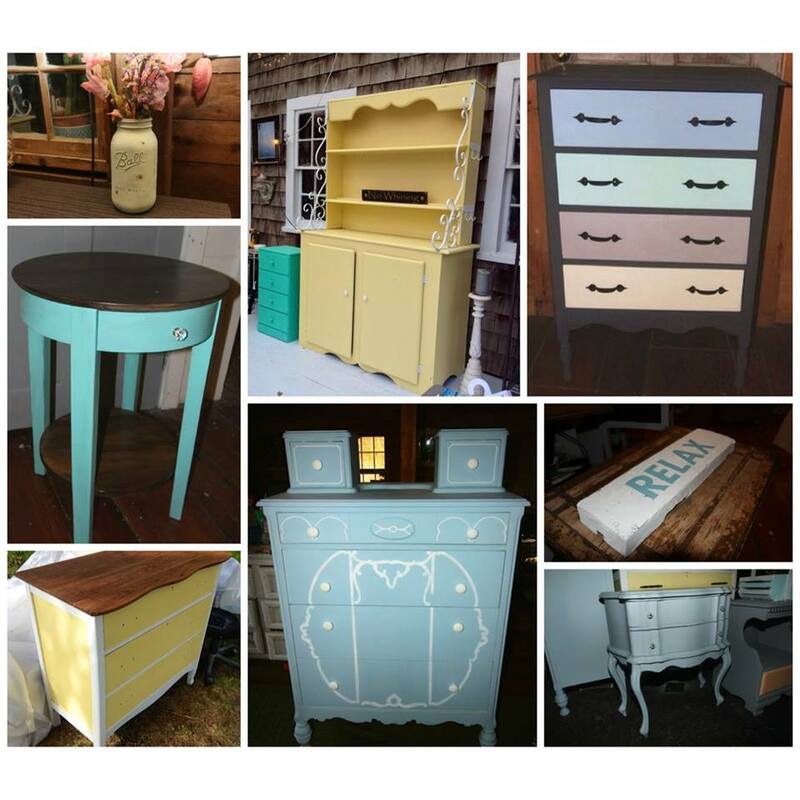 Along with telling us how she got into creating her own furniture, she has shared photos of her gorgeous final products! 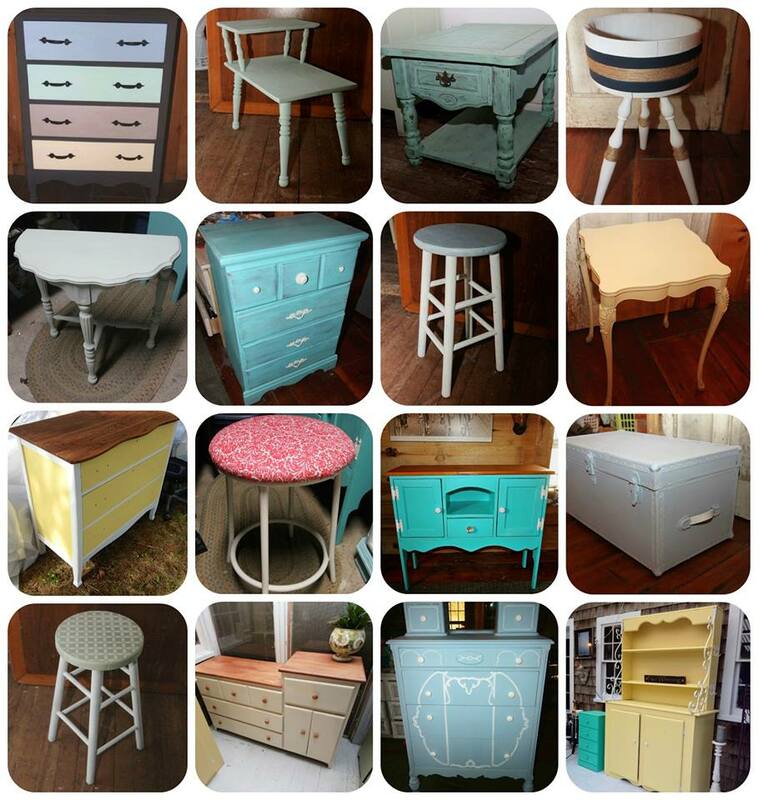 When you started repainting furniture, how did you go about finding pieces and where did you get your inspiration from? When I first started using Pinterest.com, I aquired a desire to re-do and create my own unique pieces of furniture. I went right to Goodwill and Salvation Army and found a bunch of cheap pieces that had the potential to be re-done and made into masterpieces! As the weather got warmer, I started to hit yard sales . . . This is where the hidden treasures are! So, get out there! 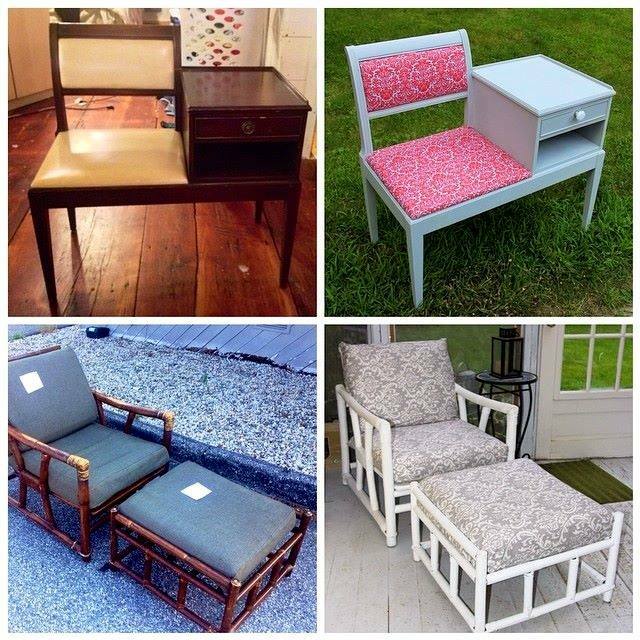 Head over to your Goodwill, Salvation Army and any last fall inspired yard sales to make some beautiful masterpieces like Lauren’s below! And then pop into Exeter Paint or Exeter Paint West for those new paint colors . . . Check out her Lauren Sawyer Photography Facebook page and her Instagram account @lauren_sawyer for more beautiful wedding photos, senior portraits and landscapes!